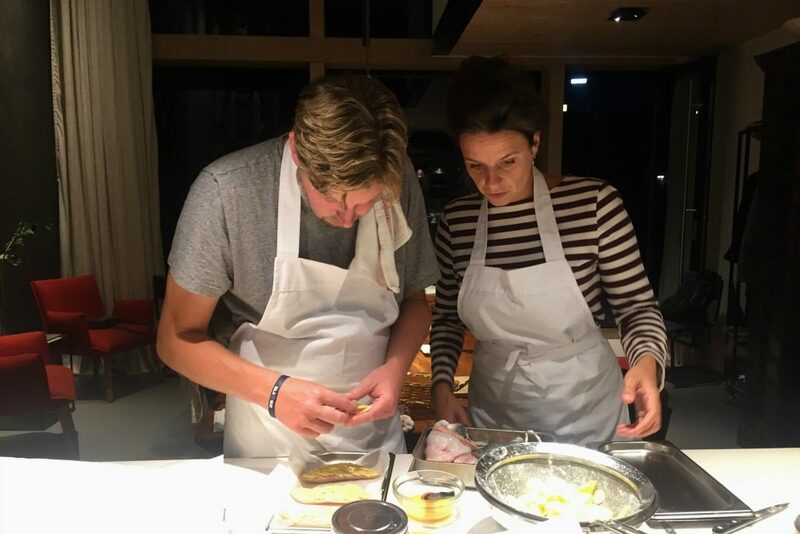 The versatility of techniques, as well as the combination of ingredients, ensure that the French cuisine continues to inspire us. France is one of the first European countries who developed their own cuisine. This started in the 17th century and has been continuously refined, and makes it one of France’s most successful export products. In this course, you will get a glimpse of the riches which this versatile cuisine has to offer. The course consists of four lessons. Scroll down for details per lesson. Each lesson takes place between ± 6 PM and 10.30 PM. Next series will start May 13. € 325 per person for four lessons including drinks and coffee. Filleting, mise-en-place, lardering, munting, blanching, poaching, braising, smoking or popping. These are just a few of the techniques within the French cuisine. During the first class, you will learn more about cutting techniques, stocks, and making gravies. Meanwhile, we will also enjoy the dishes together. In this class, we will work with sauces on the basis of fonds and will go into more detail on baking and roasting techniques of meat and vegetables. In this lesson we will, of course, also prepare and taste a variety of dishes and enjoy each other’s company. A French master is not a master if he is not able to prepare fish. Therefore, the third lesson focuses on fish. You will learn filleting and how to prepare fish in several different ways. And once again, we will end the lesson with a delicious meal which consists of all the fish dishes as well as side dishes. Éclairs, macarons, Meringues, tarte tatin. Does your mouth already water? We will end the course with desserts and pastries. The French have hundreds of different small cakes, pies, and pastries. This will give us enough inspiration to make the most delicious sweets.